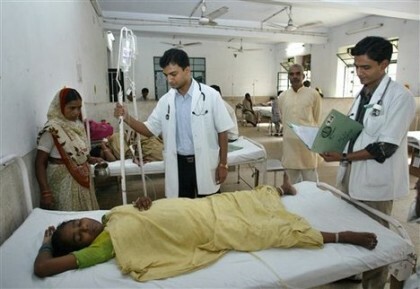 Delhi reported its fifth causality due to dengue fever this year. A young life was cut short due to the vector-borne disease which has been spreading fast in the Capital. This time an 18 –yr old boy succumbed to dengue the very next day, after he reported to the Lal Bahadur Shastri Hospital on September 08, as confirmed by PTI. Only yesterday a 45 yr old AIIMS staffer was reported dead after being diagnosed with dengue. The boy, a resident of Khichripur in east Delhi, carried initial symptoms of the dengue-fever and vomiting, before he was admitted to the hospital. He died on September 9, even before he could be clinically confirmed as suffering with dengue. His blood samples of were taken for tests and dengue, and a confirmation, till then was awaited. According to Amita Saxena, medical superintendent of LBS hospital, the youth tested positive in the ELISA test. “When the youth was admitted, his vital parameters were normal and his platelet count was ok. He was admitted for investigation. However, he had bouts of loose motion after which he collapsed. “He was stabilised by putting in IV drips and but then his platelet count dropped to 38,000 following which he was shifted to the ICU on Wednesday. At night his condition suddenly worsened and he suffered cardiac arrest due to dengue shock syndrome and passed away,” said Dr Amita Saxena, Medical Superintendent of the LBS hospital. With this two deaths reported, the dengue death toll in the capital now stands at five, however, the Municipal Corporation is yet to include three deaths in their official list. Two dengue deaths have been officially reported, both victims being from north Delhi. According to official data by the Municipal Corporation, 1,259 cases of dengue have been reported in Delhi this year till September 5 with at least 428 cases in the first week of this month.